These car parks operate under a ‘Pay and Display’ system from 8 am to 6 pm. The first two hours parking ONLY is free of charge in these car parks. Charges thereafter are advertised in the car parks. 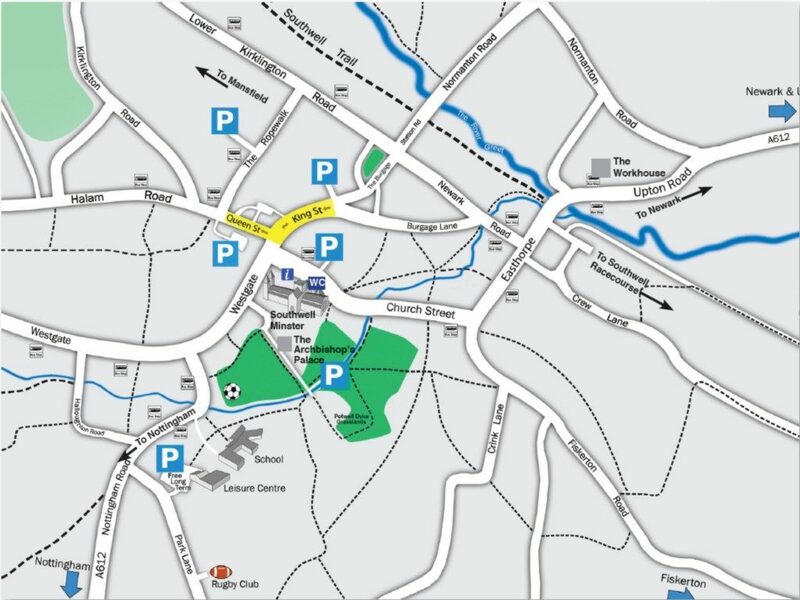 Cashless parking is available at the Church Street and Saracen’s Head car parks. Please see the map below for the location of these car parks. Holders of a disabled ‘Blue Badge’ may park at no charge at King Street, Church Street and the Library car parks, provided a valid disabled person’s badge is displayed in the vehicle, clearly stating the expiry date of the badge. If the disabled bays are full, disabled drivers may park in any other bay free of charge, but may not, at any time, park on double yellow lines in any of the car parks. These car parks are long stay and free of charge at all times. Buses are able to park free of charge at the long stay car park by the Leisure Centre. On-street parking in the centre of Southwell is limited and, as the streets are very narrow, motorists are requested to park legally, courteously and use loading bays and disabled parking bays properly. 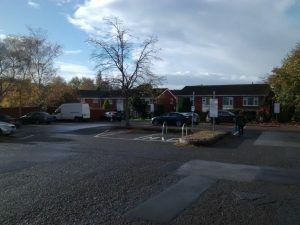 All the on-street parking in Southwell is managed and enforced by Newark and Sherwood District Council on behalf of Nottinghamshire County Council. Parking in Church Street, King Street, and the Bramley car parks is managed by Southwell Town Council but is enforced in these car parks by Newark and Sherwood District Council. Should you wish to challenge any enforcement notice issued, contact the number given on the enforcement notice. Enforcement Appeals are carried out by Newark and Sherwood District Council on behalf of Southwell Town Council. Parking enforcement at the Saracen’s Head car park is undertaken by Britannia Car Parking Ltd. Any appeals should be made directly to Britannia, whose address is on the parking ticket. SOUTHWELL TOWN COUNCIL IS NOT DIRECTLY INVOLVED IN ANY OF THE ENFORCEMENT PROCESSES. Any faulty equipment in any car park should be reported to Southwell Town Council on 01636 816103 and will be repaired as soon as possible. Southwell Town Council aims to make its car parks safe and secure for users. The car parks in Church Street and King Street have 24 hour CCTV coverage and a help point with direct contact with security staff. The Leisure Centre, Park Lane and Memorial Drive car parks are lit and have limited CCTV coverage. Any vehicle parked in any car park is at its owner’s risk at all times.